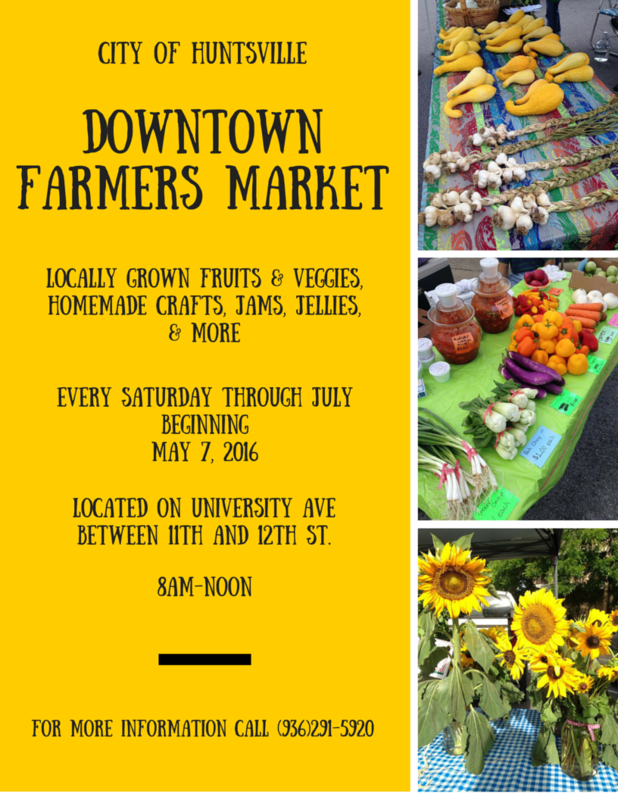 The Downtown Farmers Market begins Saturday, May 7. The market will be located on University Ave between 11th and 12th street from 8 a.m. - noon. Be sure to check it out for locally grown fruits, veggies, jams, jellies and more! The market will be every Saturday through July! Mark your calendar and call 936-291-5920 for more info.